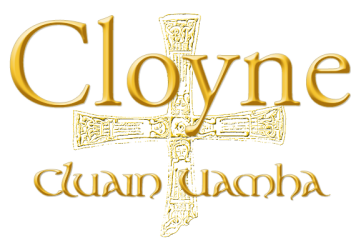 The diocese of Cloyne was founded in 560 AD by St. Colman and the Cathedral is still in use today – the present day church was built in 1250 AD and is a cathedral of the Church of Ireland in the ecclesiastical province of Dublin. 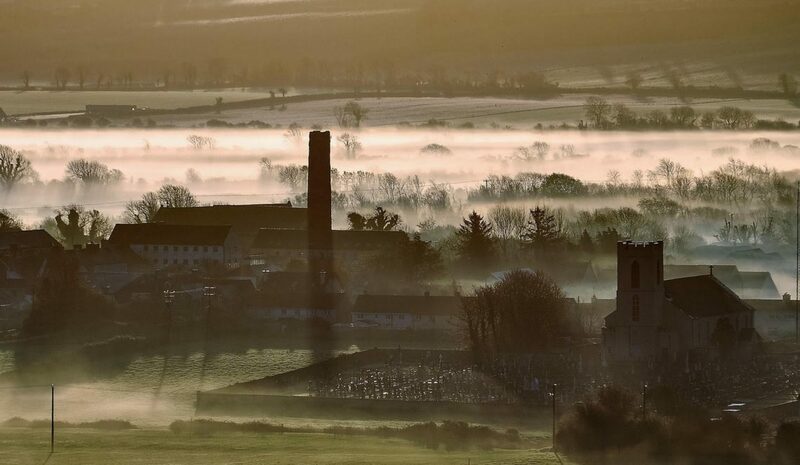 The site of St. Colman’s monastery in Cloyne was donated by Coirpre Cromm Mac Crimthainn, the King of Munster. The ruins of a small building found on the grounds of Cloyne Cathedral are believed to be the remains of an ancient firehouse within the graveyard known as Colman’s Chapel, the repository of St. Colman’s relics. It is also said in folklore that the ancient firehouse was used for maintaining a Sacred Fire. The Cathedral itself is a low cruciform structure that has been repaired multiple times and stands on the remains of older buildings. There are strange old carvings in the stonework: those at the top appear to be of little significance but those you see at the foot on either side are usually considered pre-Christian emblems of immortality. These carvings may be of considerable significance, or they may be merely due to the whim of some ancient sculptor. Another interesting memorial here is that to John Brinkley, Bishop of Cloyne from 1826 until his death in Dublin in 1835. Brinkley, apart from his religious avocations, was a noted astronomer and scientist in his day, Professor of Astronomy in Dublin University and up to his death, President of the Royal Irish Academy. Sad to say, he was the last Bishop to reside in Cloyne where Bishops had lived for hundreds of years. You will notice carved in his memorial, a globe, a telescope, and a Bible. Much more interesting, however, is the charming monument to George Berkeley who was the greatest and perhaps the gentlest of all our Bishops. He died in 1753. This recumbent statue is the work of an Irish sculptor, Bruce Joy, and this is perhaps his finest work. Take a look at the figure of the great Bishop; ‘Over the figure there is the suggestion of death, but it is death without its terrors and with all the pleasantness of sleep‘. Carved in the floor quite near to the monument of Bishop Berkeley, is the letter “B” which marks the burial place of two of the Bishop’s children; Sarah who died in 1739 and William who died in 1751. In the floor of the Cathedral is the grave of Bishop Charles Warburton who died in 1826 and was the last bishop to be buried in Cloyne Cathedral. This transept forms a very charming little chapel in which it is fitting to be quiet and thoughtful and per chance to say a prayer. The modern glass windows depict phases in the life of St. Colman, showing him as a bard, later as a Saint of God and as a companion to Saint Finbarre of Cork. Colman died about 604AD having lived for long years as the venerated holy man of Cloyne. In the churchyard, to the north east of the Cathedral, you may be able to find fragmentary remains of a building which could possibly have been the orator of the saint. Some of the oldest of the 605 known gravestones at Cloyne Cathedral. Photo Megan McCarthy.